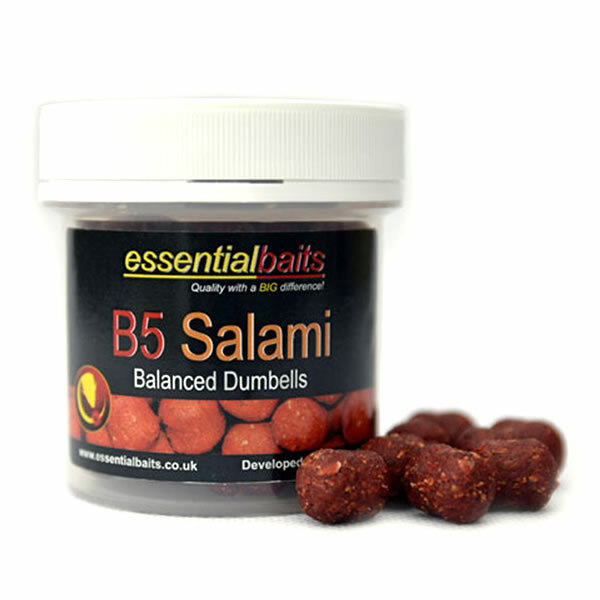 Salami Cream shelf-life boilies : Essential Baits, Quality with a BIG difference! The shelf life version of our new Salami Cream. 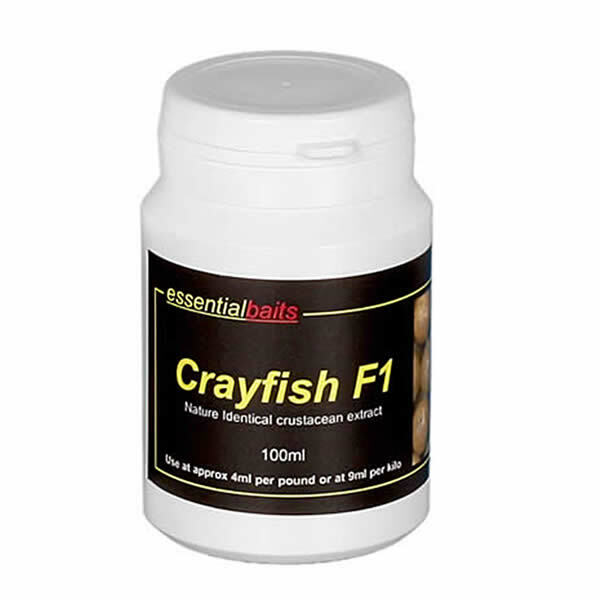 A unique combination of birdfoods, dairy protein fractions, multi-functional palatants, cereal derivatives, lecithins, betaine, hydrolysed whey proteins, Thaumatin and an attractive blend of spice additives make this bait an excellent alternative to the more commonly used fishmeals. Salami Cream contains a complex blend of no less than 9 different essential oils and oleoresins, including Chilli, Paprika, Garlic, Black Pepper, Nutmeg, Coriander and Ginger. 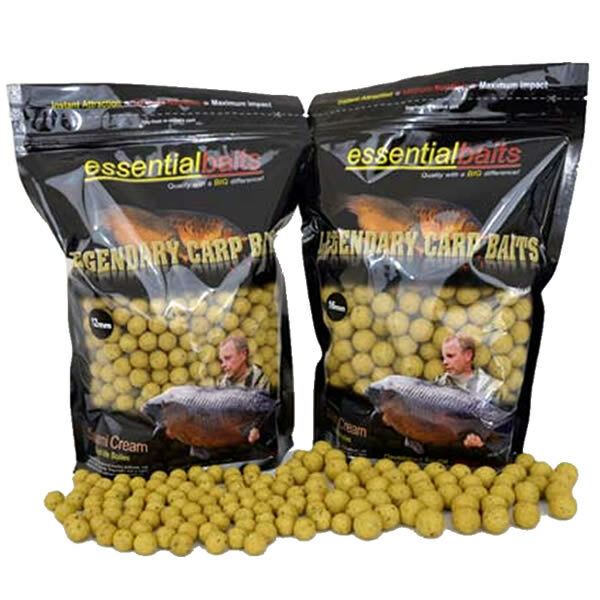 Furthermore, we guarantee that it is 100% exclusive to Essential Baits, so cannot be copied by other bait companies using inferior base mixes. A VERY instant bait that needs no introduction. Sizes available = 16mm and 20mm. Available in 1kg laminated stand-up pouches with re-sealable zipper for ultimate freshness. Orders of 5kg or over packed in clear poly bags. Different sizes? If you require different sizes in with the same order, please mention this in the ‘special instruction’ box at checkout. 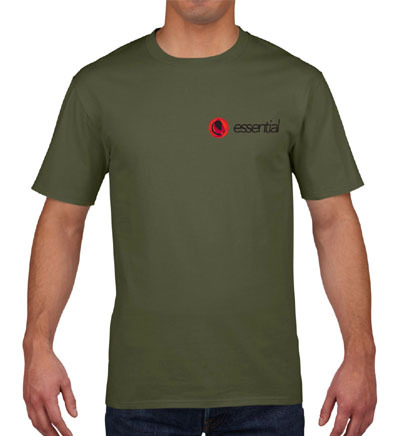 It is important to remember that the minimum order of any one size is 10kg. For example, if you order 20kg of 16mm but want 16mm and 20mm, just enter; ‘10kg 16mm and 10kg 20mm’ in the instruction box (This does not apply to 12mm’s) If in doubt you can phone order through on 01278 427634 – office hours. Note...We supply a number of shops throughout the UK with our full range of freezer boilies and matching products. For smaller orders of up to 9kg it might be more cost effective to avoid carriage charges and purchase from your local stockist. A full list of UK stockists can be found HERE. Don't forget we are here to help so if you are unsure about anything, call 01278 427634. Our Essential resident 'Globetrotter' Merv Pennell with one of his many big carp caught on our range of Shelf life boilies. Merv, amongst so many other anglers, openly admits that our shelf life range offer a massive edge over 'standard' shelf life boilies and would not use anything else. Of course the big advantage about the use of shelf life boilies can be summed up in just one word – convenience! And this is the key word you need to bear in mind. Good quality freezer baits are fantastic for that long term baiting campaign, yet can be problematic for extended UK sessions and of course when fishing on the continent. 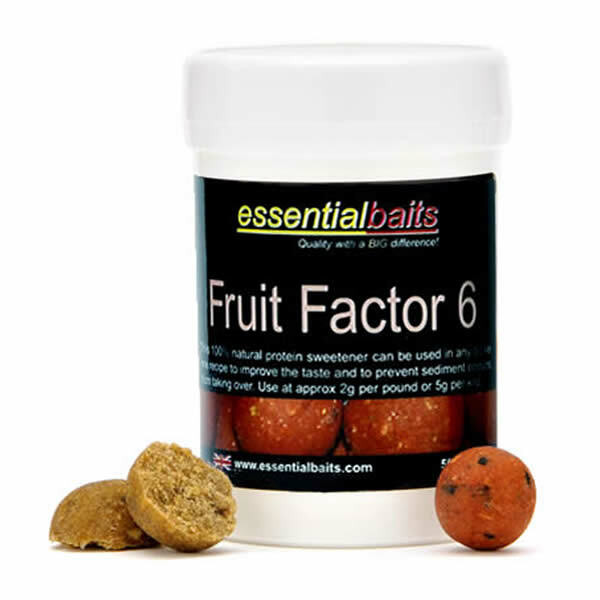 So would we recommend substituting freezer baits with shelf life boilies for long term bait application? In short, no we wouldn’t! 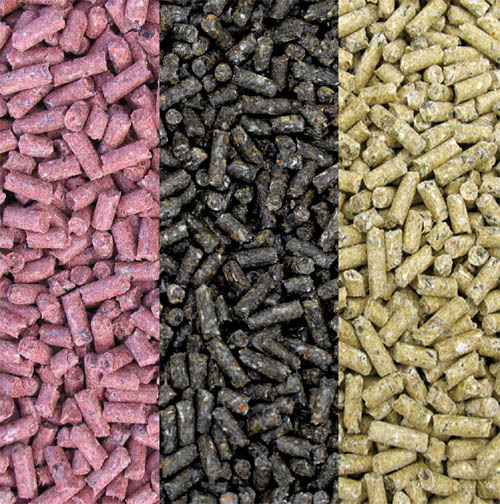 Simply because this will not offer any advantages at all, however, we can honestly say that for those trips outside the UK or even those extended sessions within the UK where it would be difficult to keep freezer baits fresh, this highly successfull range of shelf life boilies tick all the boxes - and more! So many anglers strongly believe these are the best quality shelf life boilie available ANYWHERE in the world! Confidence and convenience, such key words for success. 1) Avoid cheap and cheerful shelf life boilies like the plague. I can think of few things worse to ruin your chances of success than poor quality boilies that have been ‘over-flavoured’ to mask preservative odours! 2) If the manufacturer states there are no preservatives in them, ask him to tell the truth! 3) Beware of semi-soft shelf life boilies. These are likely to be overloaded with preservatives. 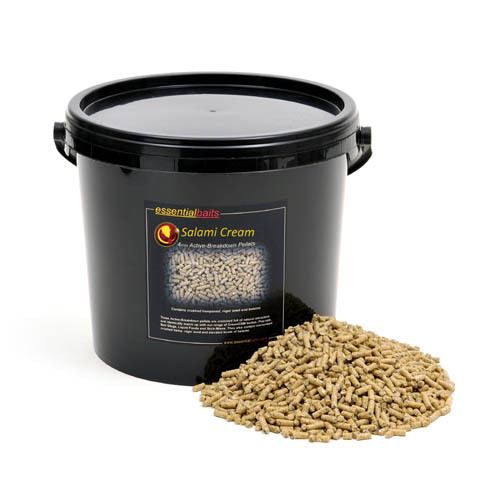 We tend to rely on reduced moisture levels, which in turn creates a 'tougher' bait, but with far less preservative.